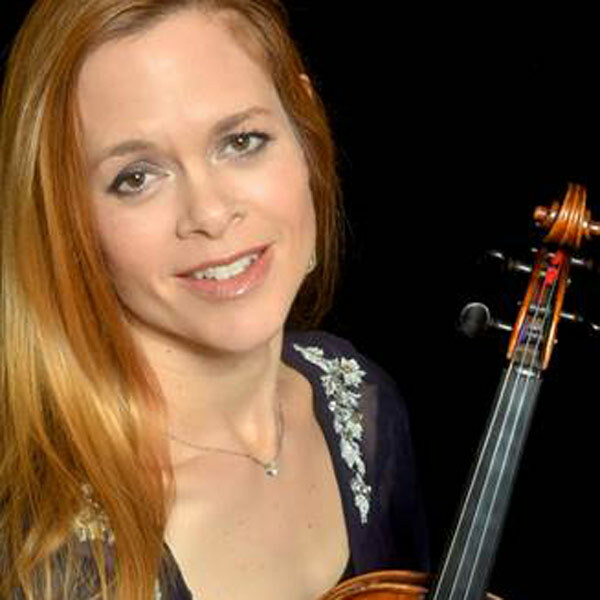 Rebecca Harris-Lee, violinist, grew up in Cleveland, Ohio, where she received much of her musical training from Linda Sharon Cerone at the Cleveland Institute of Music Preparatory Department. Rebecca’s parents, Alan Harris, cellist, and Josie Harmon Harris, pianist, were also great influences in her musical development, and are still so, today. Ms. Harris-Lee studied at the Oberlin Conservatory with Stephen Clapp and Kathleen Winkler. She received a Professional Studies degree at the Cleveland Institute of Music, studying with Donald Weilerstein. Other teachers and mentors include Richard Kapuscinski, Diane Monroe, and Burton Kaplan, and she has participated in the Aspen and Banff music festivals. Ms. Harris-Lee played Principal Second violin with the Ohio Chamber Orchestra for six years before moving to the NY area. Ms. Harris-Lee currently plays in the Madison String Quartet and is immersed in an active family life with her husband, jazz saxophonist Mike Lee, and their three children, the oldest of whom is a recent graduate of the Juilliard School of Music.